Happy Memorial Day Weekend! It’s always nice to get a 3-day break from the work week, isn’t it? I’m glad you here today to enjoy a tour of a renovated Cape Cod home. The house stays true to form, retaining its historic charm throughout. Shingle siding cloaks the outside of the home. 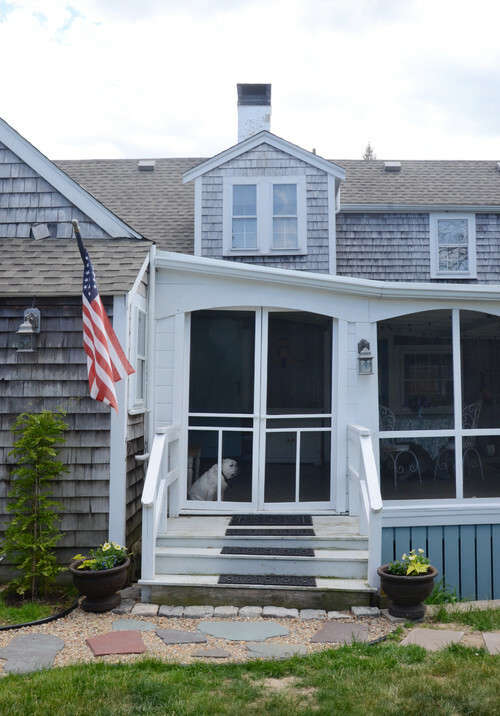 The cute bulldog looks a little forlorn about being left inside on the porch. 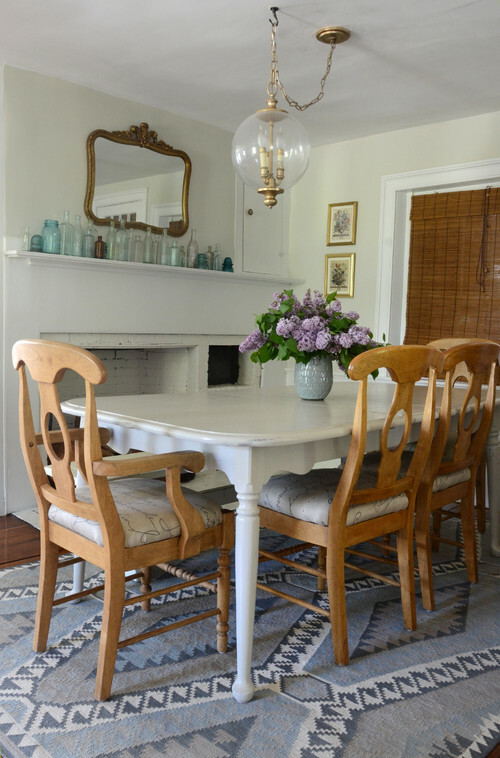 The dining room has a cozy fireplace, painted white. The mantel is lined with my favorite collectible – vintage bottles! I also happen to have that same mirror, except mine is painted gray. 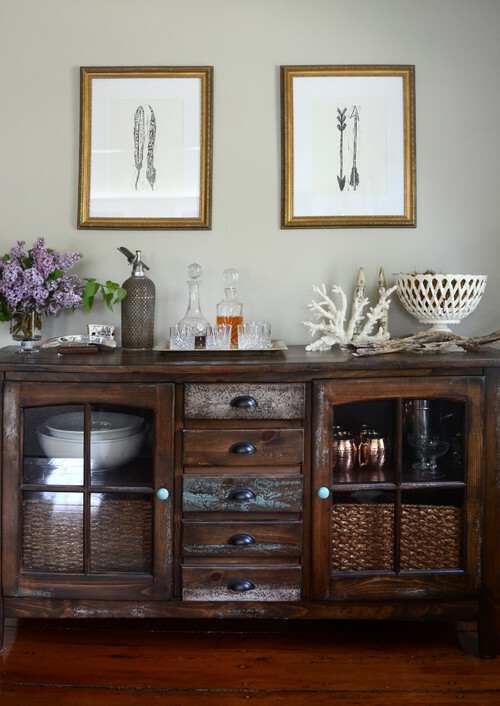 A gorgeous wooden buffet holds items for entertaining. The wide-plank wood floors are equally beautiful. 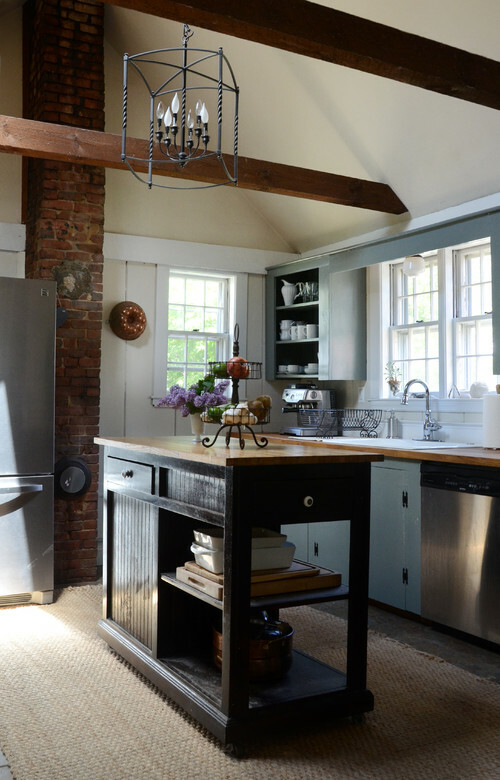 In the kitchen, wood beams lend an air of rusticity, along with the brick chimney. Board and batten walls add additional texture. 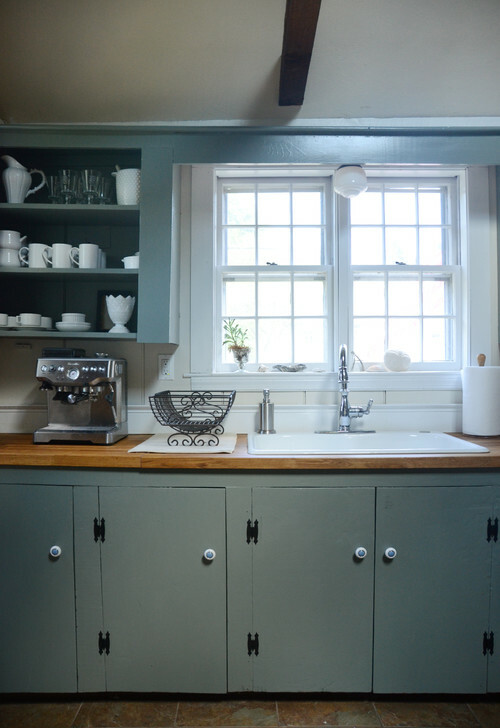 Rather than reface the kitchen cabinets, they were painted and given charming door knobs. A wooden counter provides a country look. I’ve always loved wooden countertops – they create a warm look in a kitchen. The living room is simply furnished with comfortable seating. Windows are left curtainless, with simple shades to provide privacy when needed. 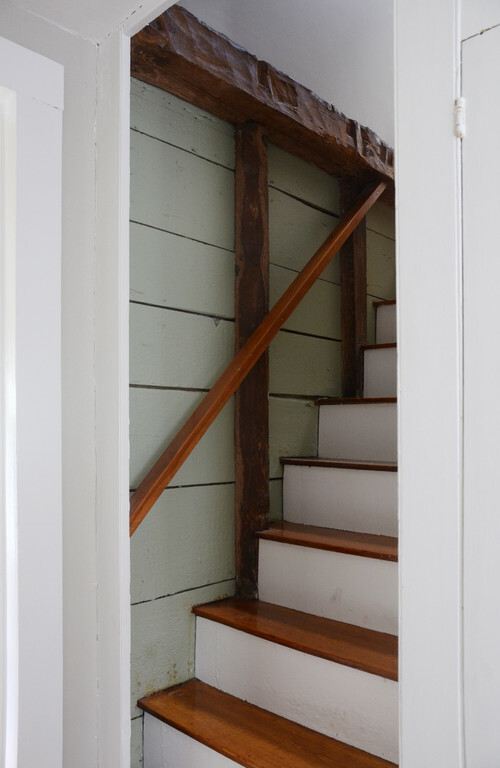 The enclosed stairway reveals the age of the Cape Cod home. 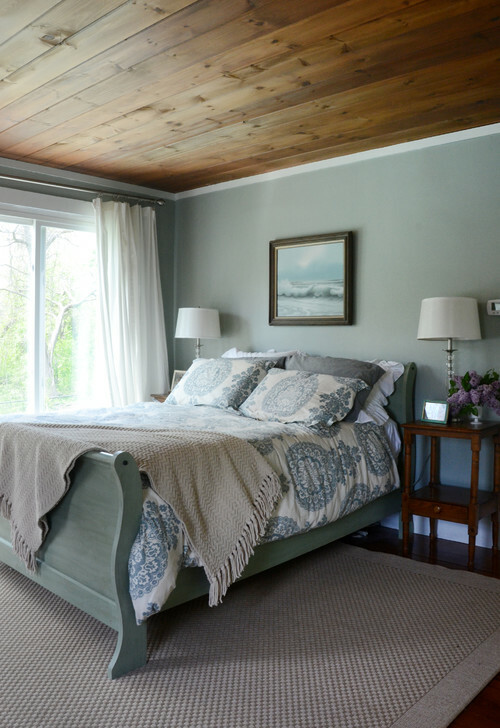 The master bedroom features a beautiful wood ceiling. 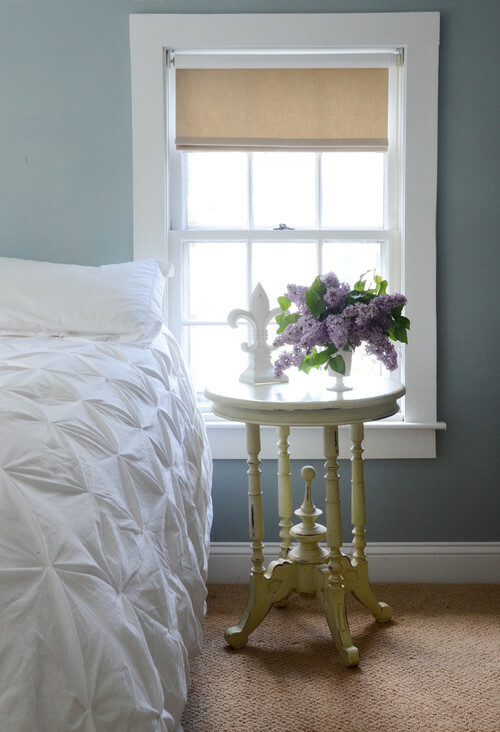 The color scheme is muted and soft, creating a relaxing retreat for sleeping. A second bedroom is simply decorated. I like an uncluttered bedroom – it feels peaceful. 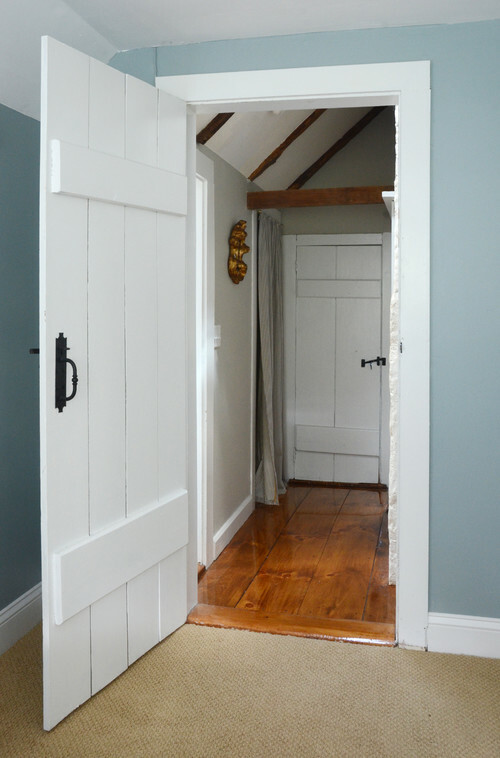 The hallway boasts more architectural details like wood beams and more of the wide-plank flooring. I love the character of the farmhouse doors with their iron hardware. 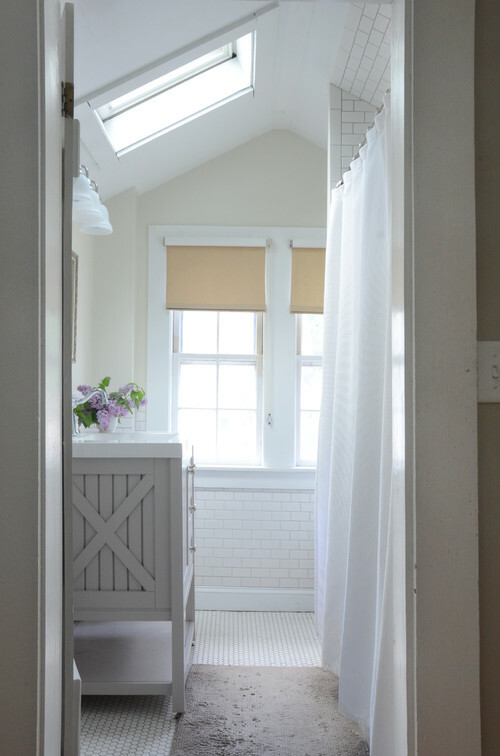 The bathroom is pleasantly updated, yet keeps its historic Cape Cod charm. 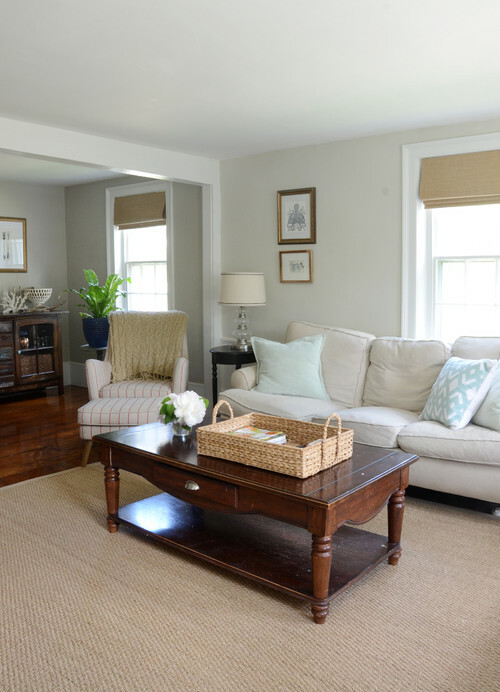 You can see more of the Cape Cod renovation at Houzz. See more houses in the Charming Home Series! This really is such a charming home…and definitely has that Cape Cod feel! Enjoy your weekend. This home is really charming and inviting. I love what they did with the place. Thank you for that Jen . i like the muted scheme .